March 6th, Bangalore - SMERGERS partnered with I-Deals Network for Business Valuation Summit, 4th edition, organized at Taj Hotel, MG Road, Bengaluru. The event provided an overview of the global valuation industry, changing regulatory landscape and the need for adopting international standards in M&A valuations. February 27th, New Delhi - SMERGERS partnered with YourStory and Ministry of MSMEs for Brands of India Awards 2019. The award ceremony was an attempt to recognize homegrown brands of our country. The event was presided over by Giriraj Singh, honorable minister for state for MSMEs. 41 home grown brands including Chai Point, Springfit Matresses, Cadd Center and IndiQube received awards during the ceremony. 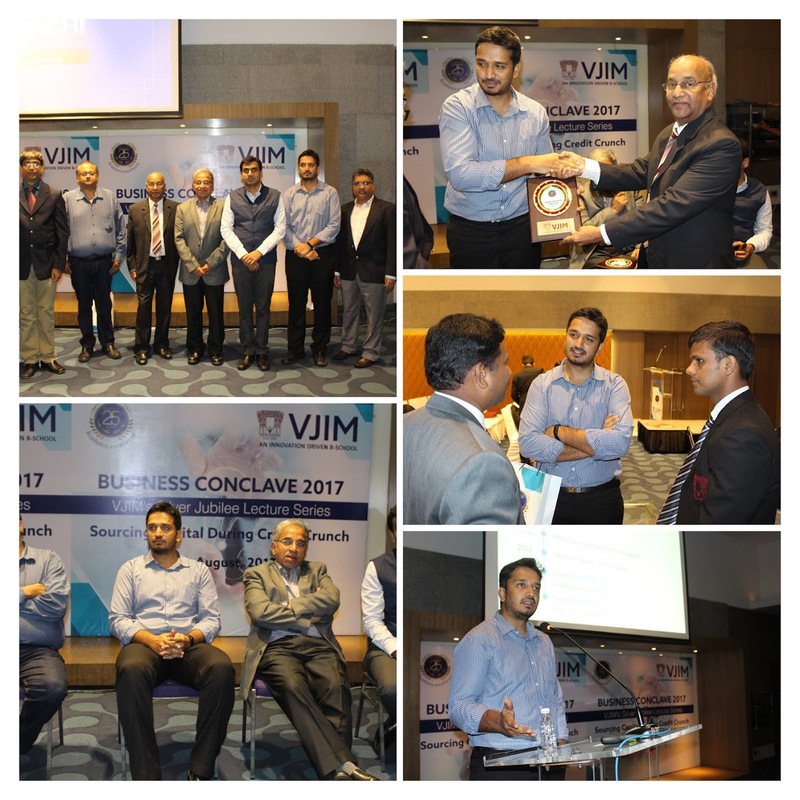 August 29, 2017, Hyderabad - Vishal Devanath, Founder & CEO of SMERGERS was invited to VJIM Hyderabad's Silver Jubilee Lecture Series. 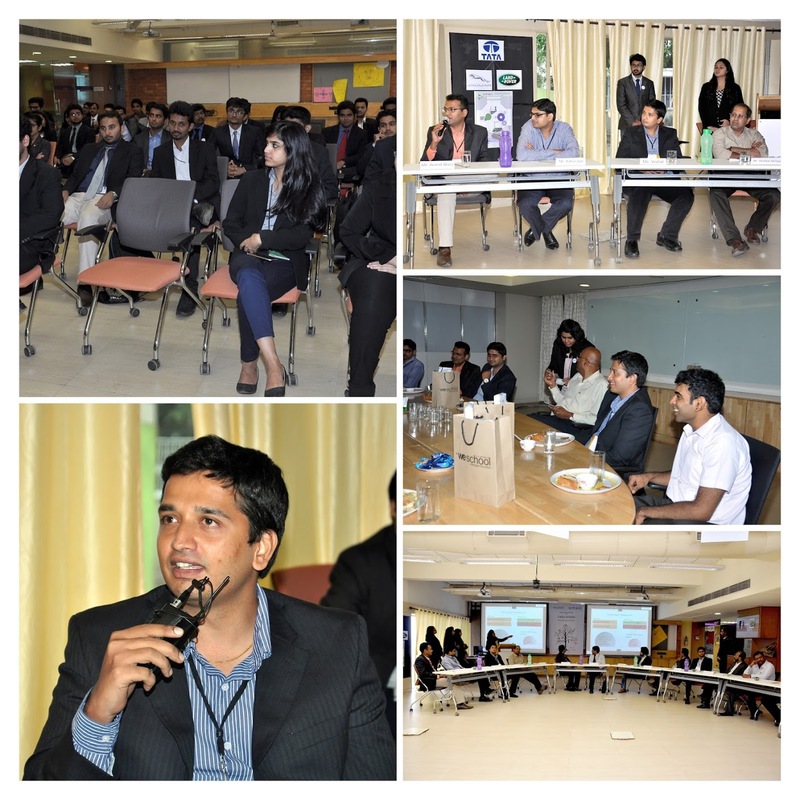 Vishal spoke on Equity Financing and Valuations which was followed by an interactive Q&A session. Other Eminent speakers present were Mr. Jayaraman Ravikumar, CFO L&T Metro Rail (Hyderabad) Ltd, Mr. Atul Kumar Agarwal, CFO Medplus Health services and Mr. Kalyan Sivalenka, Founder & Managing Director of Springforth Capital Advisors. New age digital startups are disrupting the complete spectrum of the capital raising process for businesses. 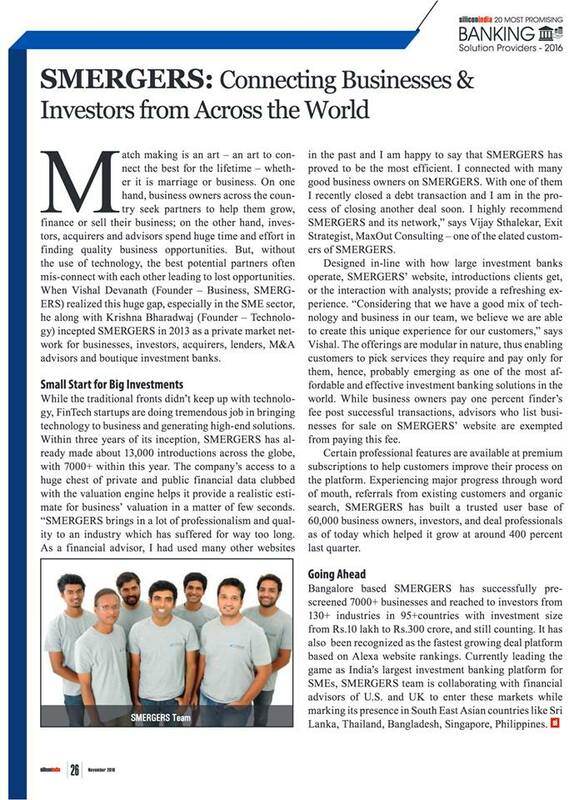 September 10, 2015, Bengaluru - Vishal Devanath, Founder & CEO of SMERGERS was invited for a round table conference organized on the theme of Valuations for SMEs and Startups. The conference, organized by Arthakul, Finance Club of Welingkar Institute of Management Development and Research, is a platform which brings together Industry experts, intellectuals and other stake holders. The event was an interface between Industry and Academia and was held at Welingkar campus in Electronic City, Bengaluru. April 10, 2015, Chandigarh - SMERGERS team was invited to share insights on how businesses can leverage SMERGERS.com platform to find and connect with prospective acquirers and private equity investors for their business at a conference organized by Mohali Industries Association (MIA) and Federation of Indian Micro, Small and Medium Enterprises (FISME) at Hotel Mountview, Chandigarh. 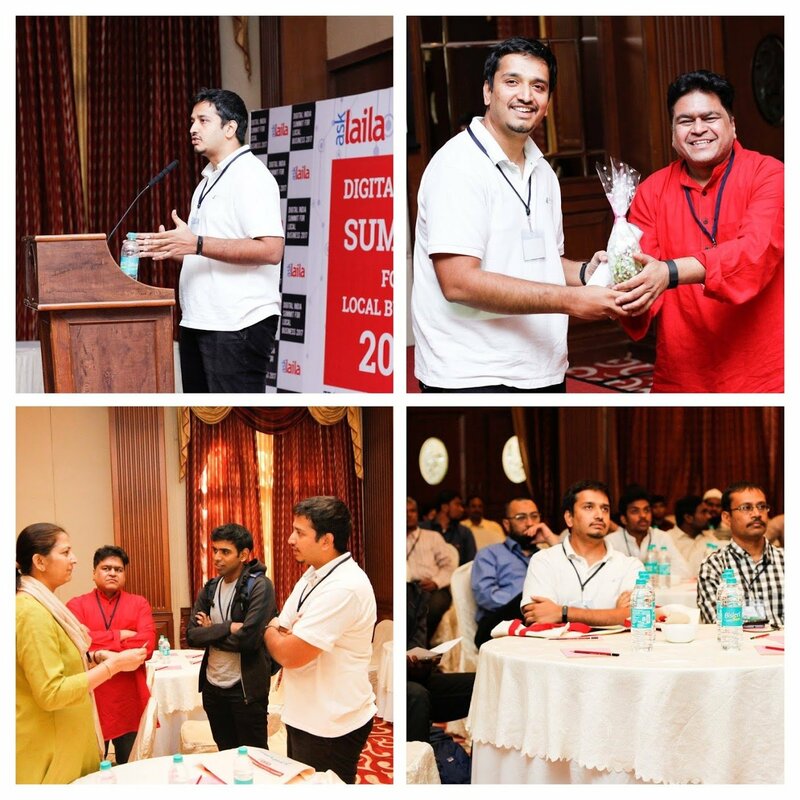 Mr. Vishal Devanath, Founder and CEO of SMERGERS.com presented SMERGERS and alternative methods of financing to the enthusiastic audience which consisted of esteemed business owners and members of the industry. Among SMEs, Debt/Business loans is considered as the only form of financing. Mr. Devanath presented several case studies on how equity financing and M&A could be a viable growth driver for SMEs. Key Valuation concepts were also presented to the business owners. Mr. Deepak Bajaj, Regional Manager, Hewlett-Packard (HP) provided insights on the new technologies in the field of printers and workstations optimizing business costs. Mr. Vidyasagar Baliyara, Partner Manager, Google India and Mr. Ronak Kumar, Co-Founder, NowFloats gave an insight on Digital Marketing and web presence for SMEs.